Inspired by Alice in Wonderland and House of Leaves, NNN is part comic, part novel, part puzzle. Strange and dream-like. 2012 Interntional Manga Award Bronze medalist. Signed, Sketched, Digital Extras & More! All prices in CAD, shipping included. 236 pages, 6 x 9 inches, 65lb paper, offset printing. Hardback with real linen cover, Foil Stamping, Smyth-Sewn signatures, with headband, tailband, matte black dust jacket and custom-printed endpapers. Just the book! Not signed or sketched. Includes high resolution pdf/cbz eBook, Audio Afterward, Audio Q&A Recording, and signature in the inner front cover. Includes high resolution pdf/cbz eBook, Audio Afterward, Audio Q&A Recording, bonus postcard prints, and signature in the inner front cover. 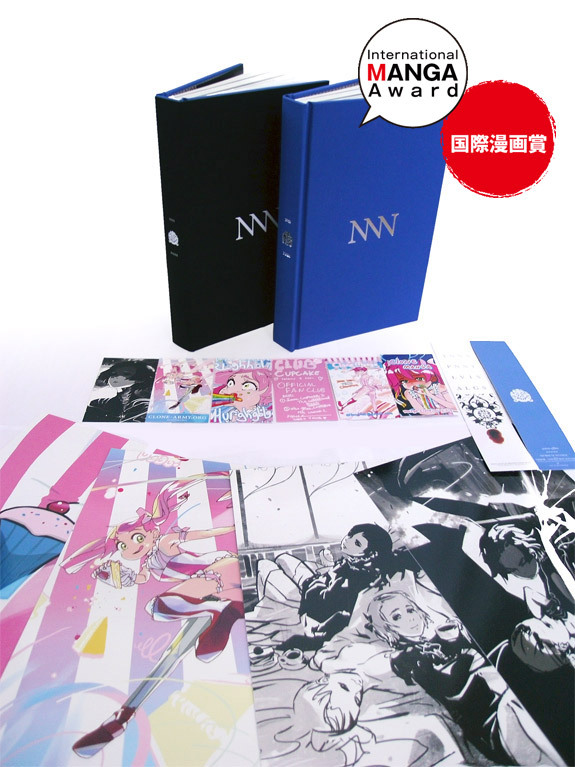 A seperate sheet with a natural-medium sketch will be tucked inside the inner cover. The sketch will also be signed. Shipping Included. For Orders inside the USA, please use the USA Price.